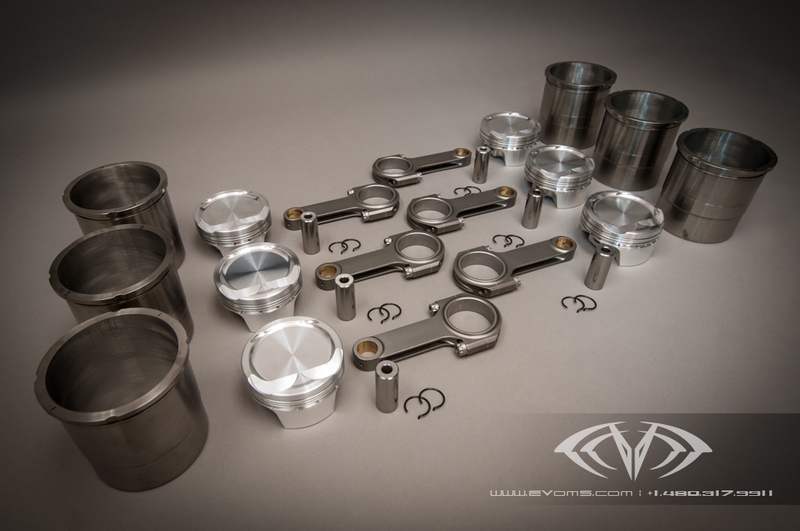 EVOMS has been upgrading the internals of the water-cooled Metzger engine for over a decade, and after years of development we have released many different stages of engine upgrades. For the first time in that decade plus, the internal components of our staged engine upgrade kits are available a-la-carte. If you are looking for a no-nonsense, proven, drop-in 3.8l kit, this is the one. 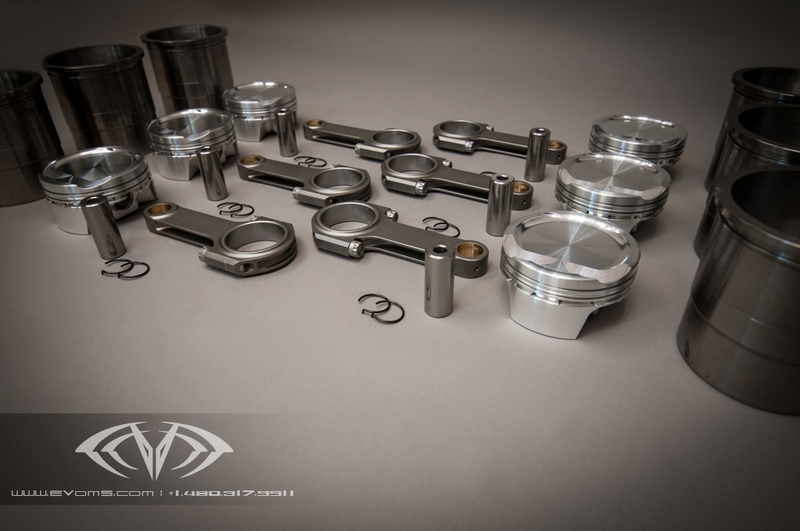 Our piston and cylinder sets have gone through many transformations over the years to maximize power, efficiency, and strength. We are now offering two versions on their own for you to drop into your turbo engine project; 100mm Drop-In (3.6l), or 102.6mm (3.8l) Piston and Cylinder Sets. 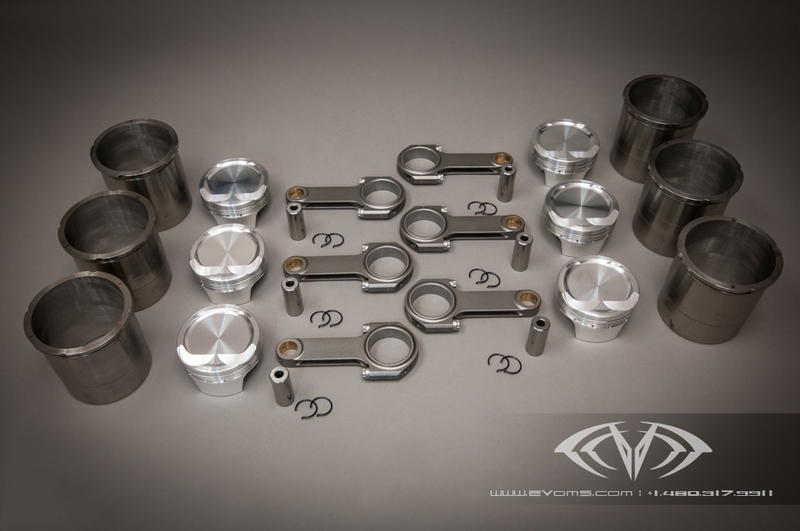 Add in our connecting rod set and you have a virtually bullet-proof 3.8l engine ready for the road and track.